Did you know the Redskins were the first NFL franchise to have a marching band and a fight song? 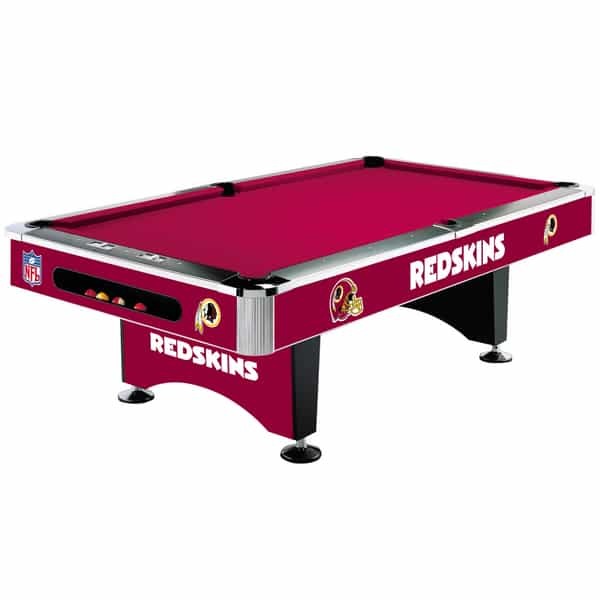 Be the first in your neighborhood with the Washington Redskins Pool Table from Imperial Billiards and Family Leisure! The compliments will roll in like billiard balls after you add this NFL-sanctioned pool table, which offers the team colors of burgundy, gold and white along with the team logo. Invite your friends and neighbors over for the game, sing "Hail to the Redskins" and kick their you-know-what in a game of pool as the Skins kick the opposition on television. Regardless if you're a member of the Hogettes, or just an occasional visitor to FedEx Field, this Redskins-inspired billiard table is for all levels of fans.